Technology has changed the expectations people have about workplace collaboration. It no longer exists within the walls of an office in a desktop computer but in any place and any device. What was for the longest time consider a trend is the new normal. Employees want to have the flexibility to reach work-life balance while making sure their productivity and ability to deliver results remains intact, this is what modern workplace technology is looking to achieve. From my own experience as a full time, remote employee these are the four core tools and technologies that help me achieve a true collaboration with my teams in New York City, increasing my productivity levels beyond the borders of an office. The internet has opened up new opportunities for employees to be connected to their work wherever they are. *Cloud-based technologies such as Microsoft 365, G-Suite, and Dropbox allow people to have access to their work on a variety of devices from wherever they are. Having all your data and files on the cloud doesn’t only provide flexibility but also reliability, you no longer have extended copies of the same file in multiple devices or USB drivers, but a centralized source that keeps being updated by you and team members you have shared the file with. Before the cloud, we all experienced that painful moment when your PC just crashed, and you needed to ask IT to save whatever they could from the hard-drive or losing a device or USB and all the information within. Now, you can carry your files and information virtually everywhere, find a new device, access your cloud account, and keep being productivity with just a couple of clicks. Regardless of how much technology we have at our fingertips, productivity is best achieved by an organized team effort. If you are considering giving employees the flexibility to work from wherever they are, you also need to provide them with the experience of interacting with other team members as if they were in the same conference room. Videoconference has dramatically evolved in the past decade; there’s no longer a dependence between quality and expensive hardware. Today, and leveraging AI features, tools like Cisco Webex can provide a high quality of voice and video regardless of the device you are using. As it’s cloud-based, there’s no other requirement than to have a good internet connection, to be able to videoconference team members in other countries. The key here is to be able to offer a video solution that enhances the meeting experience. There’s nothing worse than to try to connect via video with someone and have the image or voice being of poor quality disrupting the flow of the meeting. Improving communication in the workplace is a priority. Collaboration should be native; your employees shouldn’t have to stop and think which channel they have to use to do X or Y; they should just jump and do it. Centralizing all your communications in one place gives your teams the feeling of natively working in a collaborative matter. It becomes central to the organization and to the company culture. From an end-user perspective, having a centralized hub for communications such as Cisco Webex Teams or Microsoft Teams, enhances team collaboration via instant message, voice or video, all of it in the same place, making it easier to adopt. From an IT management point of view, these tools also offer unified communications capabilities that can be integrated with other enterprise-level technologies. Solutions like Cisco Unified Communications will provide a centralized management making it easier for your IT teams to support, and expand the solution to include other business applications such as contact center. Let’s be honest, having office tools like excel, word, and PowerPoint is no longer a “feature” is a requirement, so I won’t even address why are these important. Let’s consider additional productivity tools that enable tasks such as project management, brainstorming, and decision making powered by analytics. The cross-functional reality in which some of the most dynamic companies are working today, require to have a project management tool to get everyone organized and help driving goals. Also, the flow of ideas between your teams needs to be translated into actions and decisions as a way to foster growth. These brainstorming sessions will exist in a centralized hub to then be turned into actions. I know, you might be thinking you can use Trello, Slack, Monday, or so many other collaboration and productivity tools, but what’s more important for your teams is not only to have the tools available but to have them embedded into their work processes. And for your IT support teams having all of these integrated facilitates management and support which has a direct correlation with business agility. 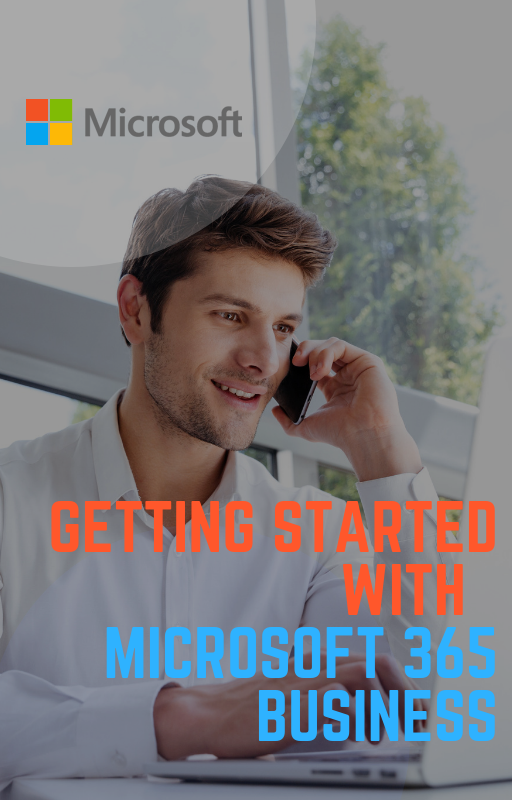 This is why considering a solution like Microsoft 365 Business which includes tools such as Microsoft Planner, Dynamics, Teams, and many more can be a better way to go. Regardless of the technologies you choose to use, you need to make sure they are all working in sync to take you where you want to go; having a highly productive and collaborative environment that fosters creativity, innovation, and high performance. These four are based on my own experience; how about you? What tools do you consider to be vital in increasing employee productivity? Microsoft 365 Business brings together the security and innovation of Windows 10 with the power and familiarity of Office 365 and streamlined management and maintenance capabilities built specifically for mid-sized businesses like yours. With productivity apps such as Word and Excel, cloud storage, email and calendaring, and an exceptional chat-based workspace to bring teams together. Learn more and schedule your free consultation today!